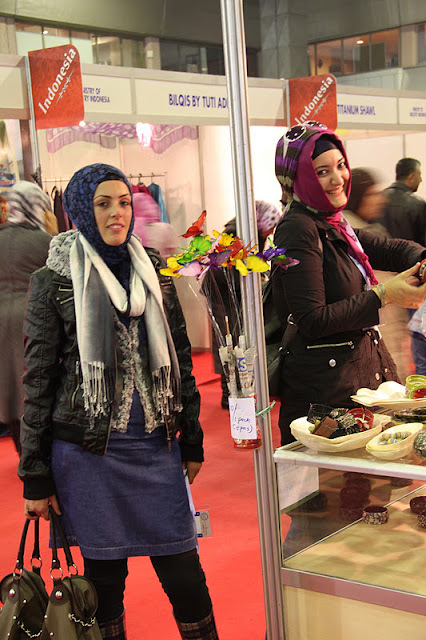 what we do best is giving the customers alternatives of creative hijab style. Tugba came to see our booth, and bought one batik scarf she like. and these scarvelistas besties couldn't stop to keep visiting our booth! how lovely! they are looking very stylist. these girls knows fashion. college students who happens to know our comings. they are very cute! and our best friends at Turkey: Tugba, Ebi & Rojda.